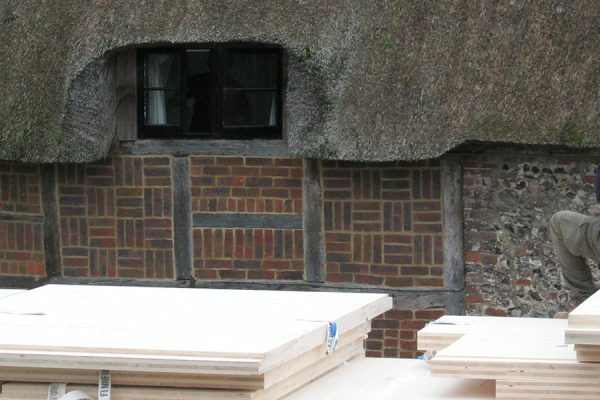 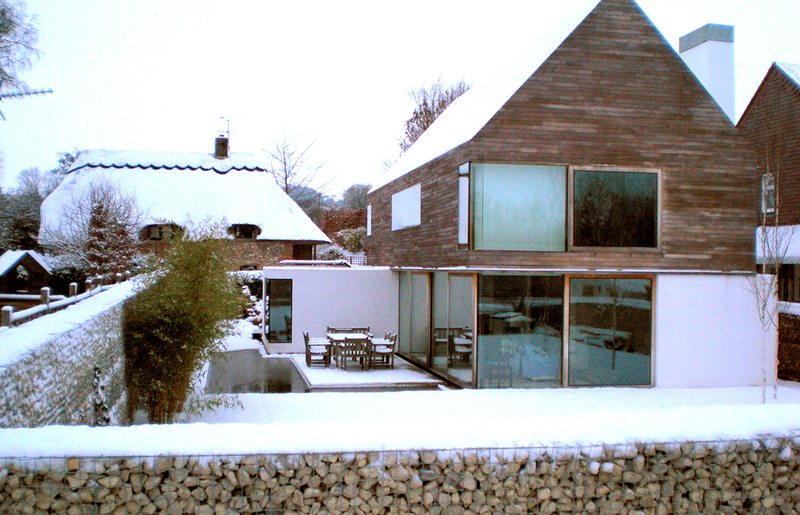 This three-bedroom, two-storey private house was constructed in Longstock, Hampshire. 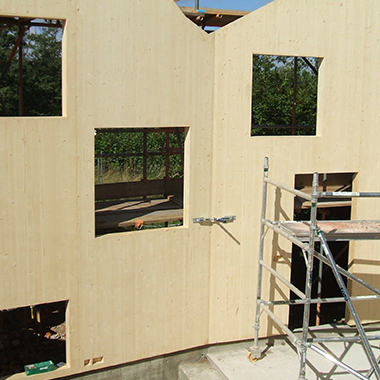 The client was committed to sustainable construction methods and sources from the outset. 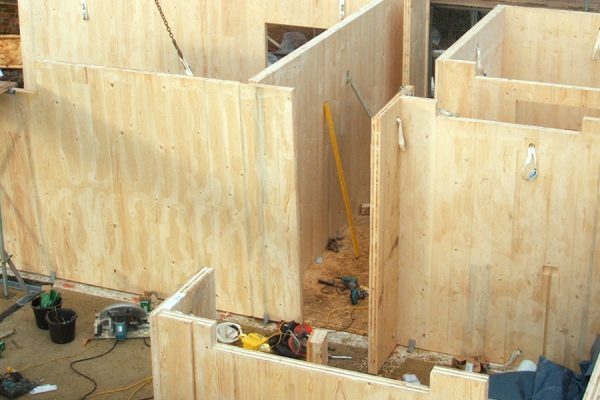 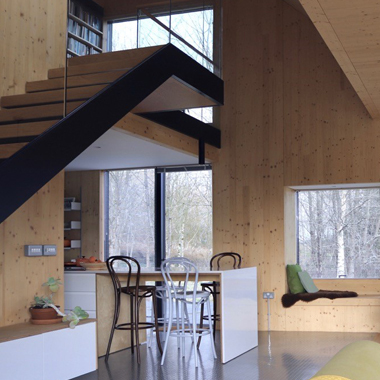 The cross-laminated timber structure was clad in a sweet chestnut rain screen, sourced from Chestnut copse thinning in West Sussex’s managed woodland. 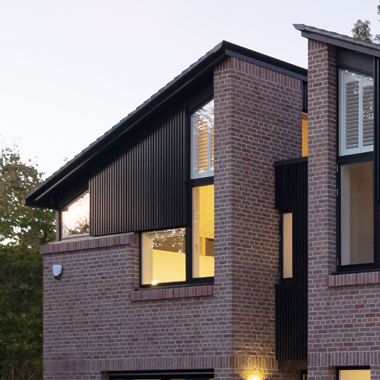 Assisted by ground source heat pumps, solar collection panels and thermally efficient construction techniques, the energy needs of the house have been reduced to that of a typical one-bedroom flat.